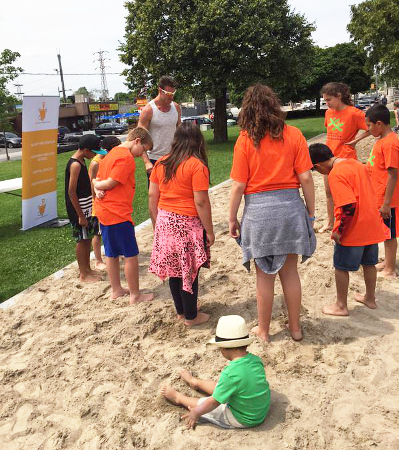 On July 8, together with our partners, The Sandbox Project built a giant sandbox at Earlscourt Park in Toronto as part of the Pan Am Torch Stop festivities. We are delighted to say the Pan Am Parapan Am GIANT Sandbox event was a great success. The sandbox was filled with families as well as children from local daycares, day camps, and the community. We had a fun afternoon in the sun alongside some of our Collaborating Partners including Ability Online, EPODE Canada, FitSpirit, Healthy Minds Canada, Motivate Canada, Parachute, Stella’s Place, and TELUS Health to help raise awareness of the importance of collaboration towards the health and wellbeing of Canada’s children and youth. 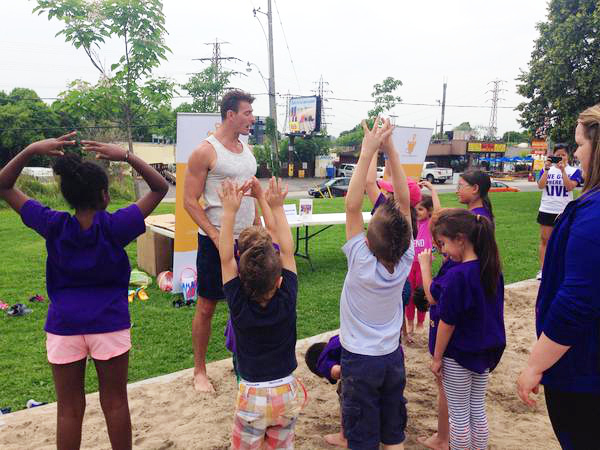 A highlight of the afternoon was the participation of Canadian Beach Volleyball Olympian and Sandbox Project board member Martin Reader, who facilitated movement education sessions throughout the afternoon. For more information about the World's Largest Sandbox, click here. Visit our Storify page for more photos and social media highlights.